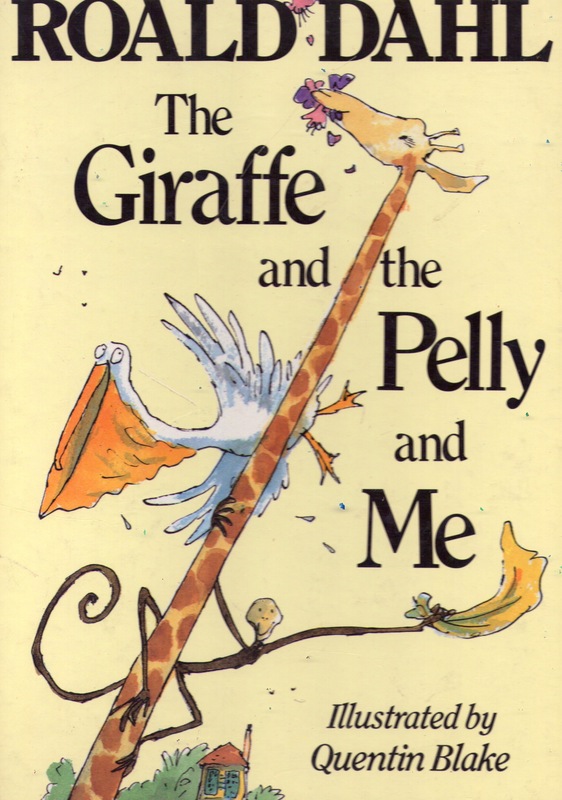 This is something that Gary brought in for me today, the Roald Dahl book, The giraffe, the pelly and me. 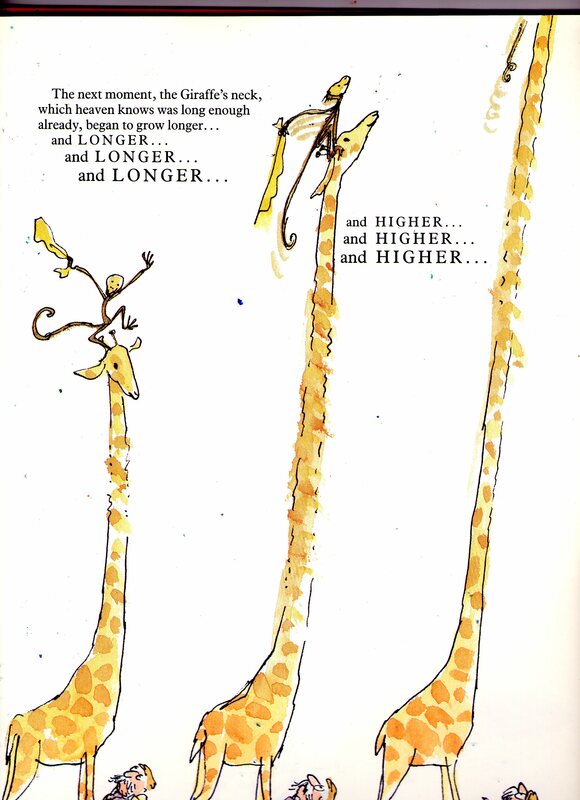 It has some nice imagery of giraffes in it and some imaginative takes on giraffes that I quite like. I really like the imagery of the giraffes neck growing, I think I could use that in some way in my game. I like the fact that its sort of absurd, thats really the point of my game I guess, making it really surreal. If I made a serious game using the mind control tech, it would be really dull and flat, but because I am making this thing so surreal, bright and fun, I hope that it retains the magical wonder that I first had when I got it working. I also like the fact that the giraffe is put into such a normal everyday environment. 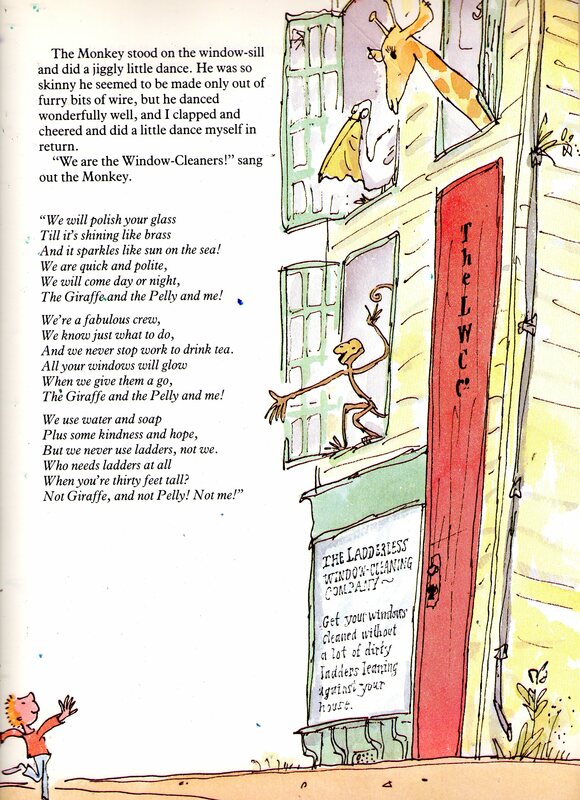 Why wouldn’t the giraffe have its own really tall house? I need to write some sort of narrative for my game, and I like that it could be about the giraffe on his way home from a normal day when suddenly these creatures from his mind escape and start attacking him. I think that could be something good. I have to make it clear to people how the monsters appear and that they are monsters from their own mind as picked up by the headsets values. Once that is made clear from the story and game intro, I think the whole mind reading thing will come naturally to the people playing it.